I had to share with you this nice work and great source of information!!! "Before conducting this survey, little did I know of such a variety of insects that are palatable. 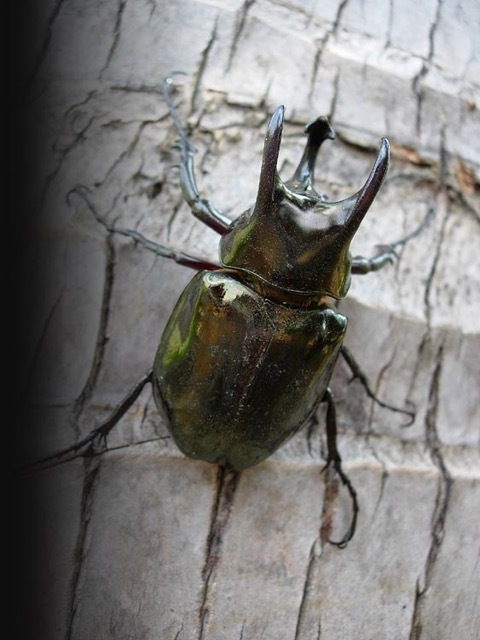 A number of insects are taken as food since prehistoric time. 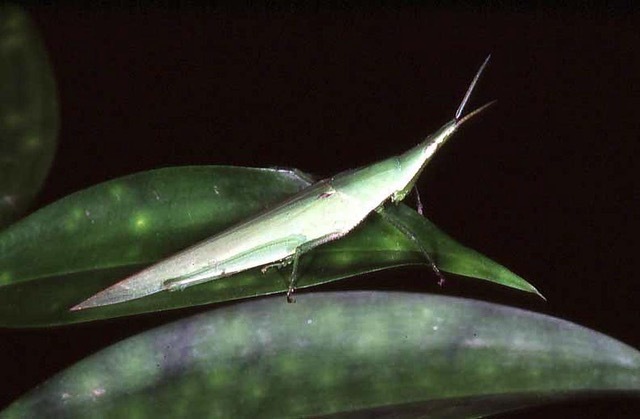 In Sabah, more than 50 species of edible insects were recorded. Unlike our neighbouring country, Thailand, entomophagy is not a common practice in Malaysia. 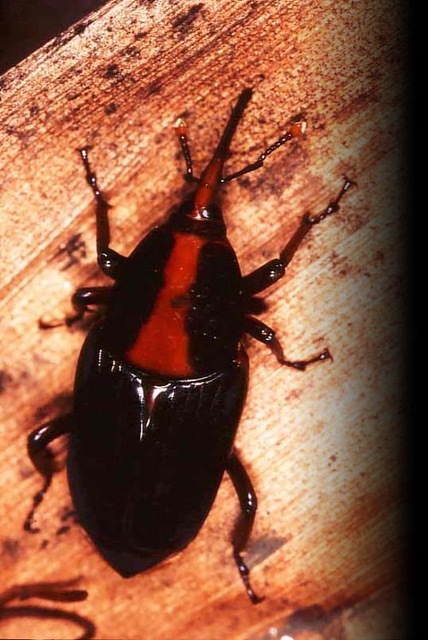 Many of the rural and elderly local communities in Sabah, however, have experienced eating insects of some form. It is seldom taken now, due to modernization and urbanization. Hence, documentation is important, as such knowledge may slip into oblivion. The local terms used here are mainly in Kadazandusun but may vary in different districts in Sabah. 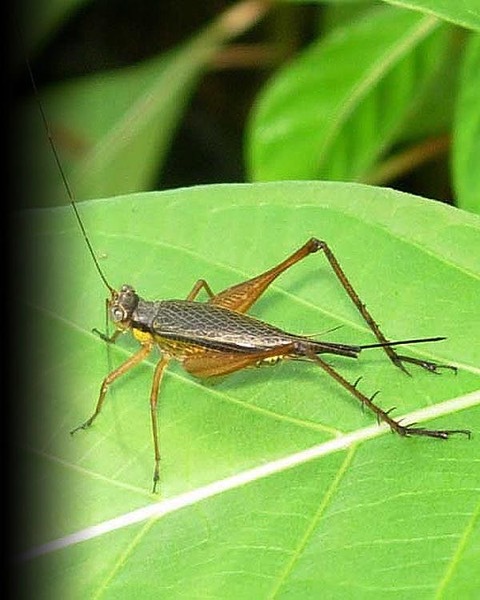 This research project was funded by the Sabah State Government through the Sabah Forestry Department and the Federal Ministry of Science, Technology & Innovation through IRPA.” References for Malaysia Entomophagy. • Chung, A.Y.C. (2010). 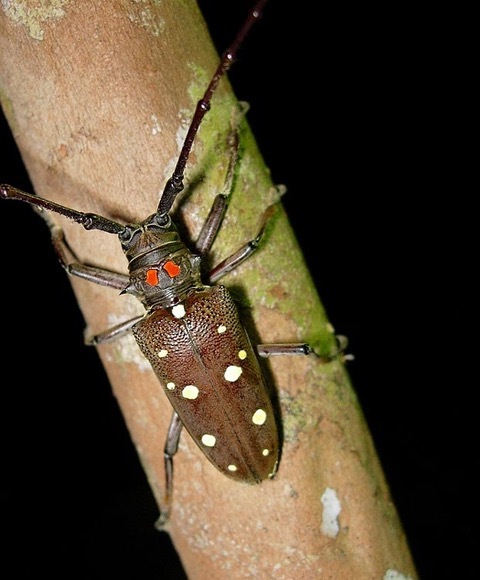 An overview of edible insects and entomophagy in Borneo. In P.B. Durst, D.V. Johnson, R.N. Leslie & K. Shono (eds.) 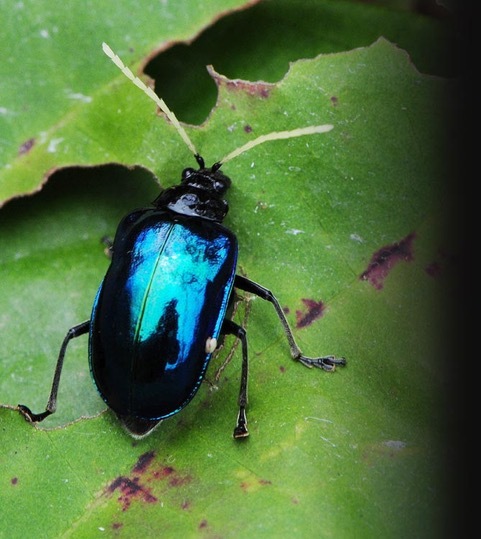 Forest insects as food: humans bite back. UN-FAO, RAP Publication 2010/02. Pp. 141-150. • Chung, A.Y.C., Chey, V.K., S. Unchi & M. Binti. (2002). 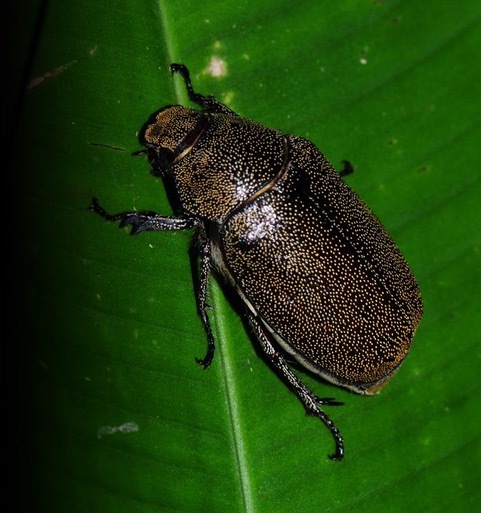 Edible insects and entomophagy in Sabah, Malaysia. Malayan Nature Journal 56(2): 131-144. Larvae of the weevil, Rhynchophorus ferrugineus which were collected from the sago palms. 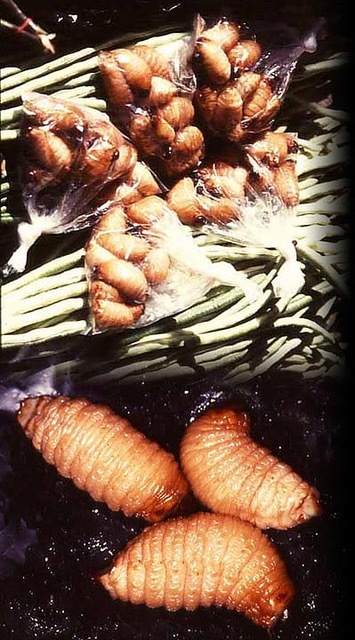 Can be eaten raw, stir-fried or cooked in porridge. 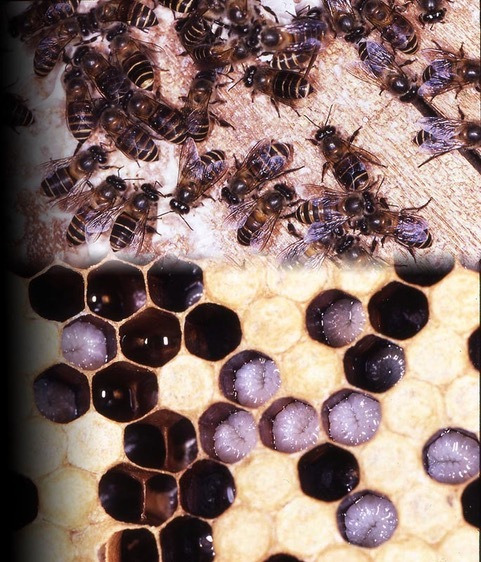 Like honey, the cultivated honeybee brood is considered nutritious by the local people. 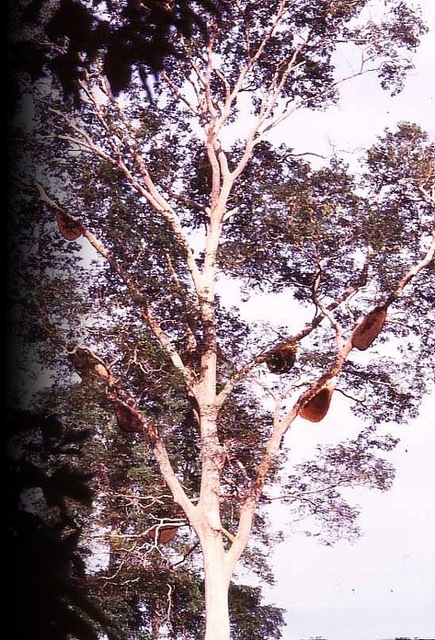 Often seen nesting high up on the majestic ‘Mengaris’ tree, the wild honeybee brood is quite popular besides the sago grub. The ants are ground, mixed with chilli and salt, and served as condiments. 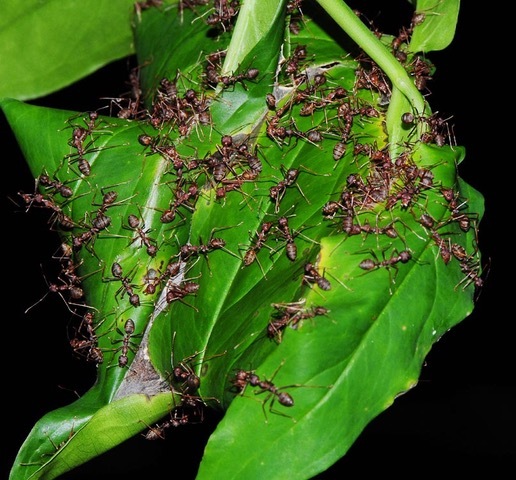 The ant brood is eaten raw or cooked in porridge. 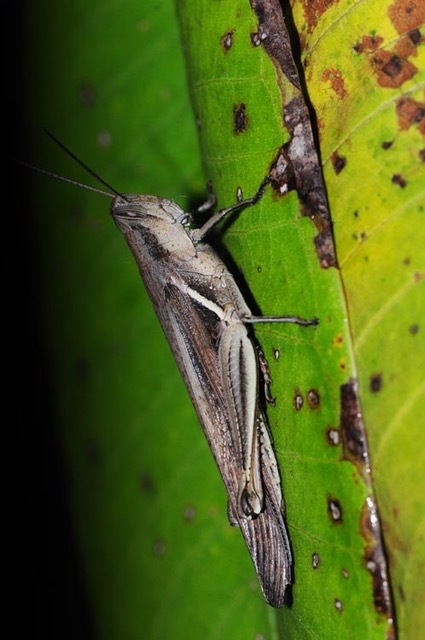 Grasshoppers are much sought after as food, particularly by planters who work in the paddy field. They are usually collected when slashing or weeding the field for paddy planting. They are normally boiled with a bit of water and simmered until dry. Sometimes, they are stir-fried while the bigger ones are deep-fried. Taken the same way as grasshoppers. They are normally boiled with a bit of water and simmered until dry. Sometimes, they are stir-fried while the bigger ones are deep-fried. 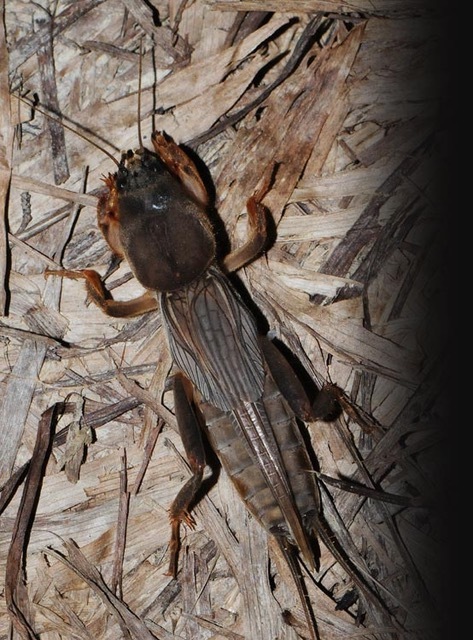 Mole cricket is often collected when ploughing the field before paddy planting. 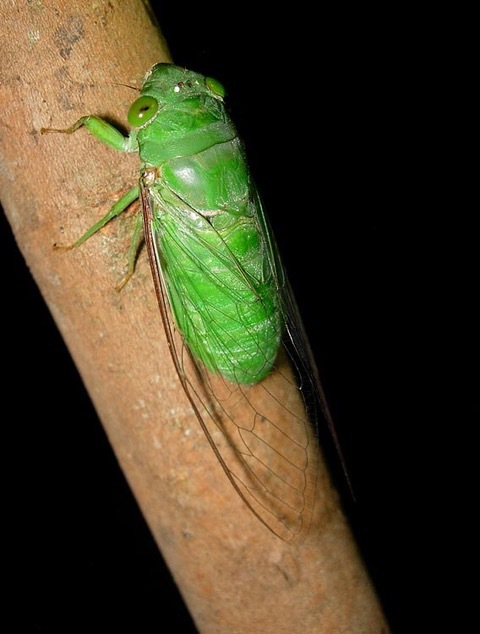 Cicadas are often grilled, with their wings removed. They can also be stir-fried with a pinch of salt, but without oil. 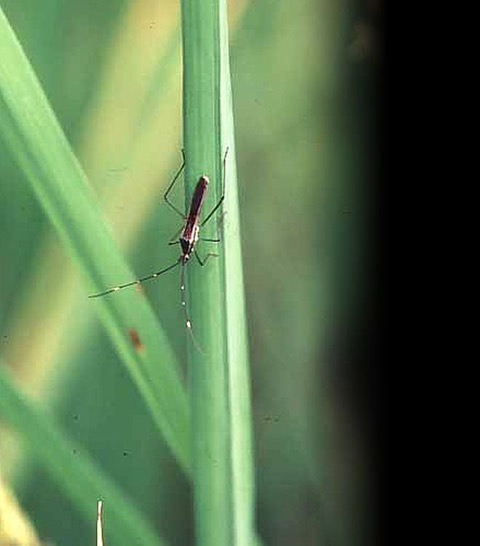 This bug is a serious pest of paddy, attacking the milk stage of the grains. Some of the elderly local people take them as condiments, which is also a way to reduce pest population. The pungent and foul-smelling fluid emitted by the bug would frighten us off, but the elderly villagers would mash the bugs with chilli and salt, and cook them in hollow bamboo stem. 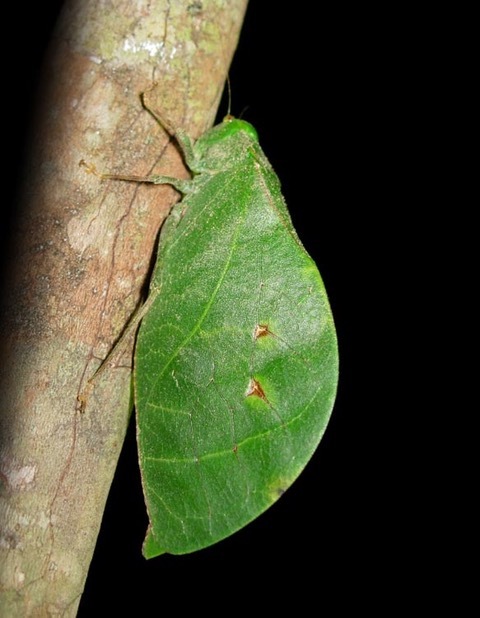 The moth bugs of the family Flatidae are eaten by some Kadazandusuns at the foothill of Mount Kinabalu. They are usually stir-fried without oil. 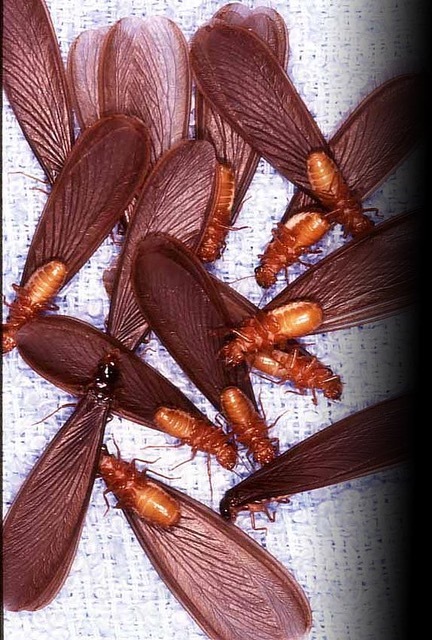 Termites can be eaten raw as they have soft body. Other methods are stir-frying without oil or cooking in porridge or rice. 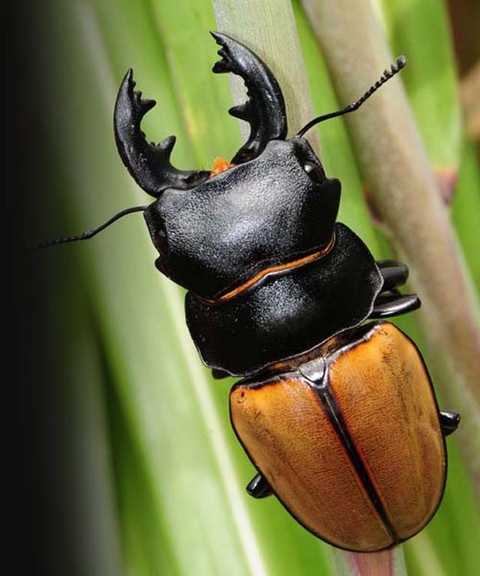 Adult beetles are usually grilled or roasted, with the hard and spiny parts removed before eating. The unsavoury guts are also removed. 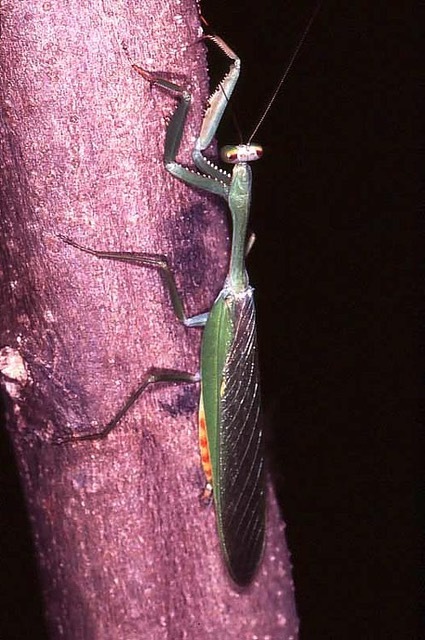 Praying mantis is often grilled over an open fire. 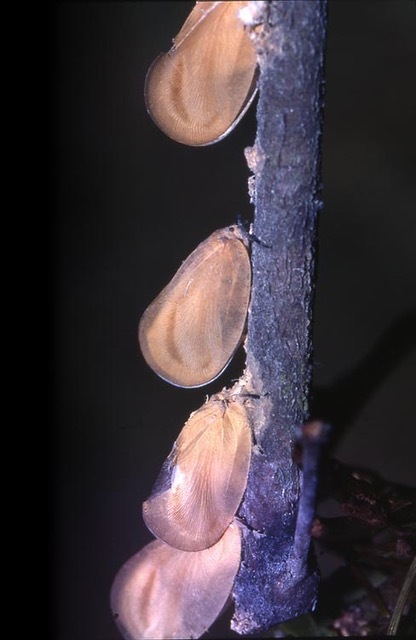 Sometimes, the ootheca of the insect is consumed as well. 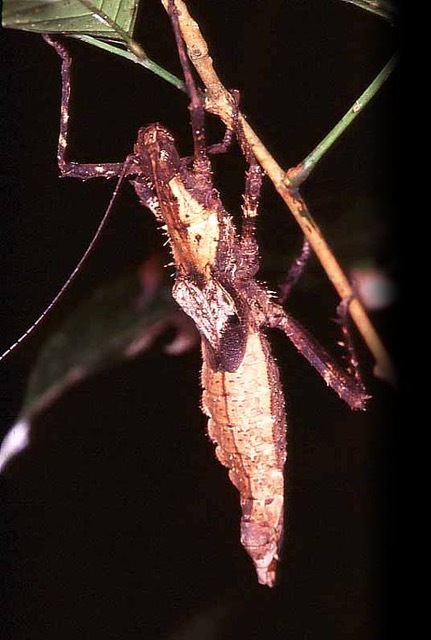 One of the common stick insects taken as food is Haaniella echinata, which is endemic to Borneo. 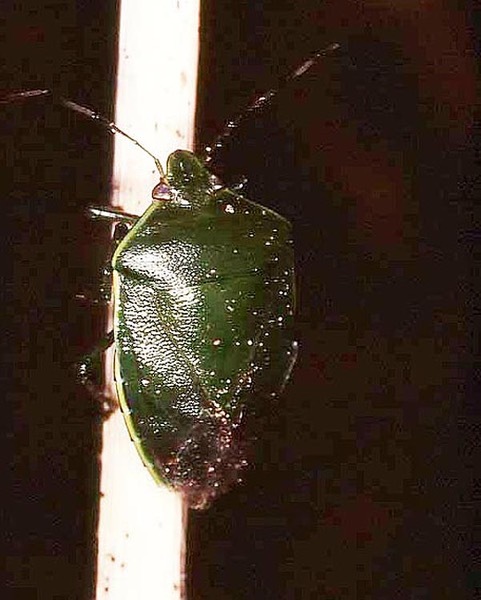 The female looks fleshy. It is harmless despite its ferocious appearance. 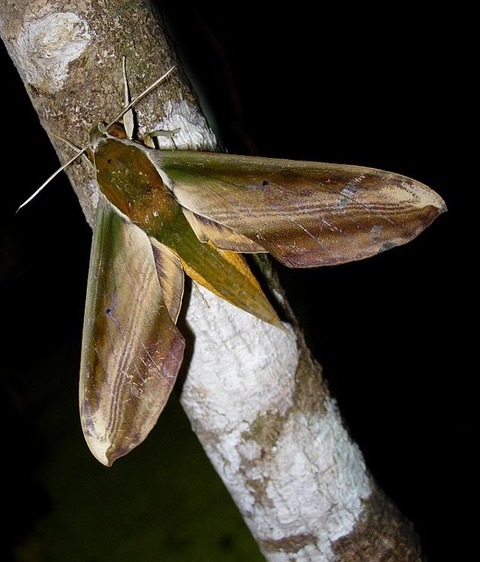 Some adults of the larger moths of Sphingidae are consumed in the interior. After removing their wings, they are boiled until dry. 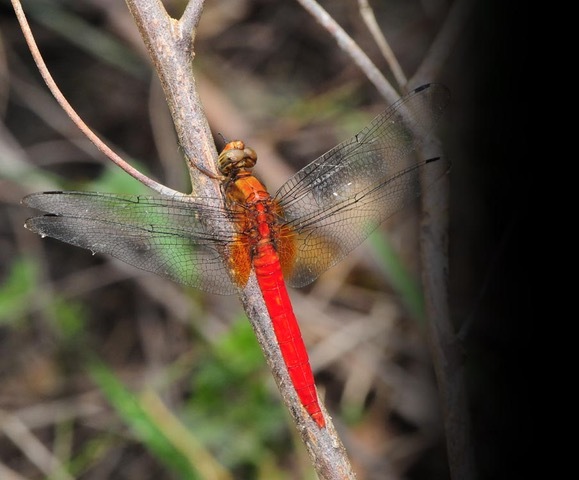 Various species of adult dragonflies are eaten. They are usually salted lightly and boiled, with their wings removed.